The Alberta rental market saw significant improvement over the past five months, according to a new report from Hope Street Real Estate Corporation, an industry leading tenancy management firm specializing in residential rental management. Edmonton experienced a 21% rise in the average rental rate from this past September. The blended average rental rate for all types of advertised rentals in Edmonton was $1,368 as of January 15. Rents in Calgary rose 13% during the same five-month period. Rents there climbed to a blended average of $1,671. The vacancy rate in these two cities also dropped to 4.1% in Edmonton, and 3.0% in the Calgary metro area. According to Shamon Kureshi, Hope Street’s CEO and the lead author of the new report, factors for the rebound include difficulty in securing mortgages to purchase homes, the market having bottomed out, and fewer new rental housing options. CMHC reported last November that the vacancy rate in Alberta had dropped to 5.5%, a significant decrease from 7.5% in 2017. 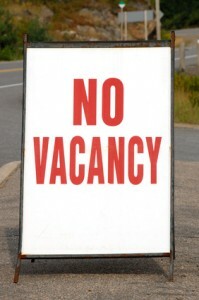 CMHC also pointed to the lack of new inventory as a major factor in the falling vacancy rate. In 2014, Calgary and Edmonton each scored the lowest vacancy rate in the country — 1.4%.